Liquid Sunshine. In a jar. Just looking at it will make you think of daffodils and buttercups. Or minions. Happy things in any case! Lemon curd is a sweet and tangy lemon conserve. The texture is somewhere between a custard and a jam. Used warm it has a pouring consistency like a sauce, but once cooled it is smooth and spreadable. My search for a lemon curd recipe began after I used a jar of the shop-bought stuff in a recipe and was left very disappointed. It tastes so artificial in comparison to the home-made version! Lemon Curd is a must-have in any fridge, as it’s so versatile. – Spread it on scones, pancakes, or toast. – Use it to sandwich 2 sponge cakes together and top with buttercream/whipped cream. – Fold it into whipped cream to make a lemon mousse. 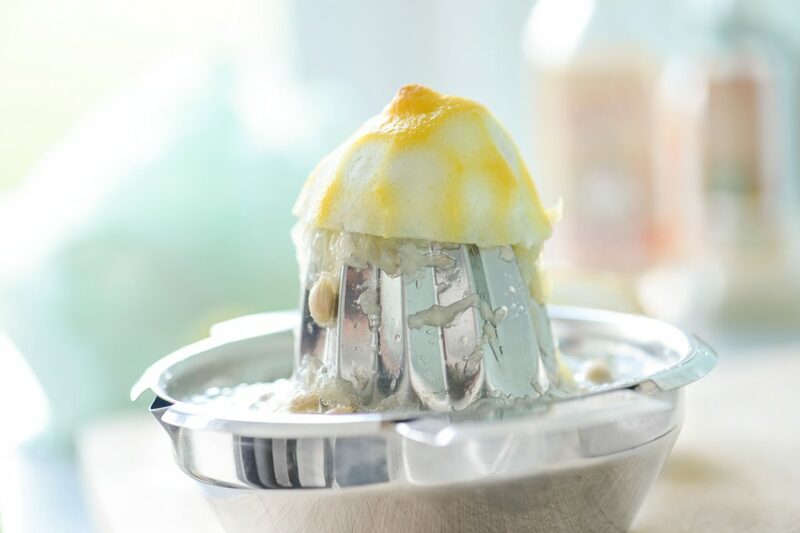 – Freeze the above to make a quick lemon ice-cream. – Stir into plain greek yoghurt and sprinkle with granola for a yummy breakfast. – Use your left over egg whites to whip up a batch of meringue nests. Fill with lemon curd and top with whipped cream. – Use it in this delicious Lemon and Ginger Cheesecake recipe. 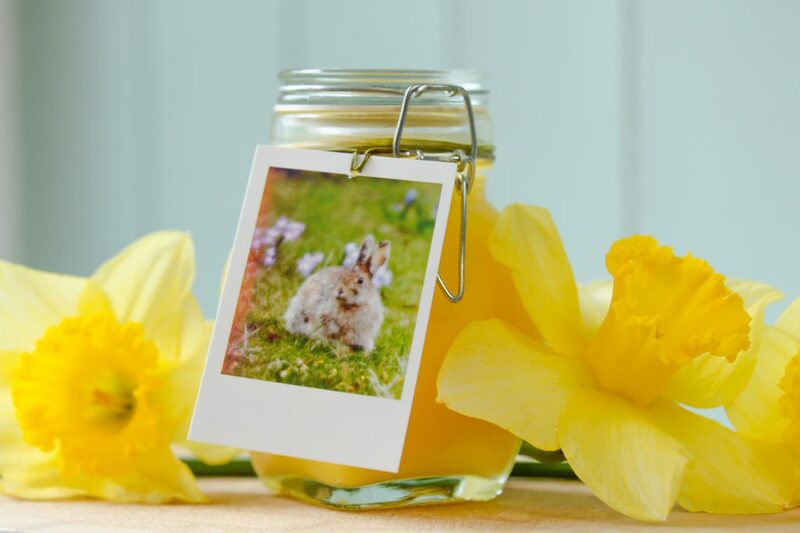 – Pour into a pretty jar and voila! A beautiful home-made gift. 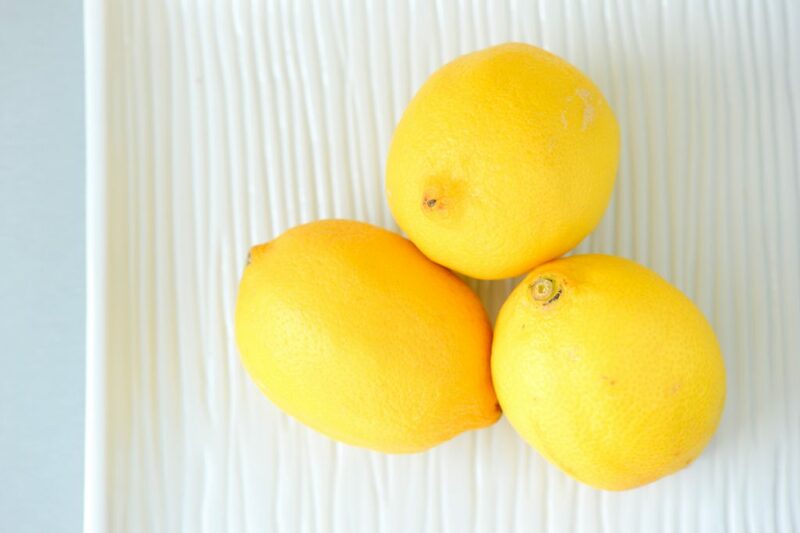 Use the freshest, juiciest lemons you can find for this recipe. Make sure they are unwaxed as you will be using the zest (a lot of it!). It’s actually the oils in the zest that give the fragrant lemony flavour, and the juice that gives the tart acidity to the curd. You will be straining the mixture at the end, so don’t worry about all the bits of zest in it. 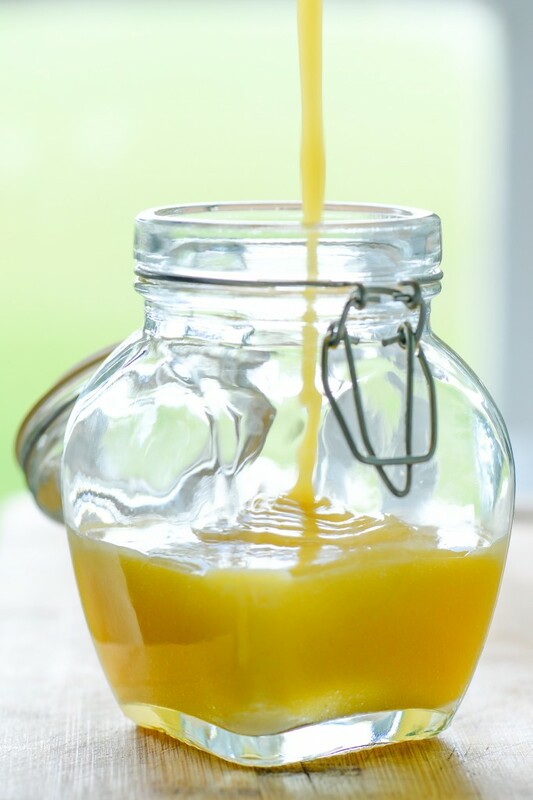 I highly recommend using free-range eggs – they have lovely orange yolks which give the lemon curd an extra bright yellowy colour! For something a little different, why not try this Clementine Curd? Sterilise your jars first. Wash the jars in very hot, soapy water or put through the hot cycle of a dishwasher. Place the wet jars onto a baking tray and place into an oven at to 160°C for 10-15 minutes. If you are using jars with screw-top lids or rubber gaskets, don’t dry the lids or gaskets in the oven – just air-dry them in a colander after boiling. Remove the zest of the lemons with a vegetable peeler, avoiding the bitter white pith. Squeeze the juice of the 3 lemons and measure out 125ml. Add in the butter, and cream together well. Add the egg yolks in one at a time, mixing well. Lastly add the juice and salt and blend together well. Pour the mixture into a saucepan and cook gently over low heat until thickened, stirring constantly with a whisk. This takes about 10-15 minutes. Don’t walk away at this point, as the mixture burns very easily if you stop stirring. 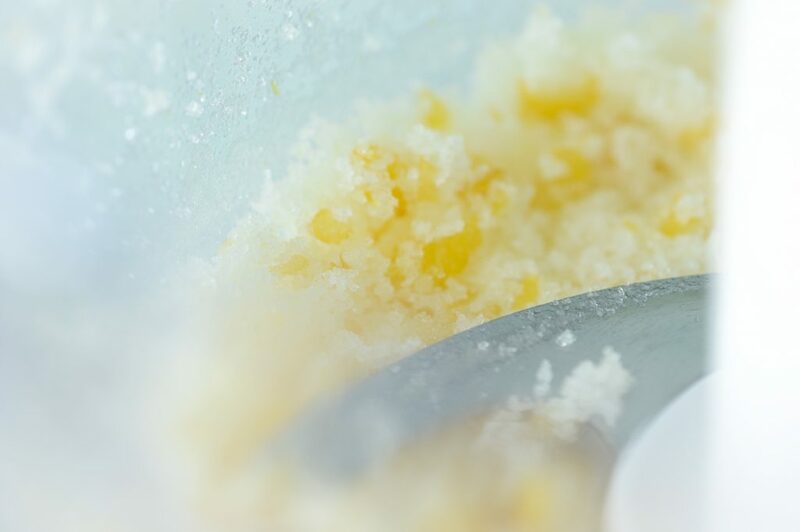 Strain the mixture through a sieve and pour the lemon curd into sterilised jars, leaving a 1cm headspace. Allow to cool to room temperature before refrigerating. Will keep in the fridge for about 2 months if unopened, or about a week once opened. The lemon curd can also be frozen for 3-4 months.